Minerals are chemical elements that provide structure and regulate the internal environment in living organisms. Despite making up only a small fraction of the body, only 4% of total body weight, their importance is markedly undervalued. In fact, human life would not even be possible without them. When we do hear about minerals it is generally calcium, iron, or zinc that is spoken of. But hiding off to the side, and out of the lime light, is perhaps the most underrated mineral of them all: magnesium. For magnesium is becoming increasingly deficient in humans, which is problematic as it is critical to so many chemical reactions, neuromuscular pathways, and in the overall maintenance of a healthy body. Here we investigate magnesium pharmacology. The vast wisdom of the human body allows it to accumulate and concentrate vital components wherever they are needed. For magnesium, approximately 60% is found in the bone, 25% in muscle, and the remaining 15% in the various fluids and soft tissues (1). The magnesium residing in the soft tissues is found primarily in metabolically active organs, such as the brain, heart, and liver. (1). From this, one can reasonably deduce that the main functions of magnesium are probably related to bone and muscle, and that it plays a metabolic role inside of cells. Magnesium may be just as important to the structural integrity of bone and teeth as calcium. Calcium is synonymous with bone, however too much of it can be a bad thing. Calcium gives bone its hardness, but it does not provide any flexibility. Hard bone without any flexibility would be synonymous with chalk—hard, but brittle, and much easier to break. Magnesium is crucial in giving bone flexibility via improved trabecular integrity and bone density (2). Since calcium and magnesium compete for absorption in the gut, too much of one can cause a deficiency in the other (3). It is for this reason that countries, such as Finland, with the highest consumption of calcium to magnesium (4:1) have the highest rates of osteoporosis and prevalence of hip fracture in the world (4). Magnesium accumulates in the three types of muscle cells: skeletal, smooth, and cardiac. Whereas calcium is involved in muscle contraction, magnesium acts in opposition, blocking calcium channels, and causing muscle relaxation (5). People with sub-optimal levels of are therefore more prone to muscle pain and cramping (6). Of greater consequence, it is necessary to relax the smooth muscle lining blood vessels, and the cardiac muscle lining the heart, meaning that magnesium deficiency can compromise cardiovascular health (7), increasing risk of hypertension, stroke, and heart attack (8). Energy production is the final broad physiologic role of magnesium. To date it has been implicated in over 300 enzymatic reactions in the body involving ATP (9). Some of the more prominent roles include production of ATP in the Krebs Cycle, breakdown of sugars to yield energy, and synthesis of important biochemical components including proteins, fatty acids, and nucleic acids (10). Based on this, it is probably not surprising to learn that magnesium deficiency is common in people with chronic fatigue and metabolic deficits. 2. Tucker K, Hannan M, Cupples L, Wilson P, Kiel D. Potassium, magnesium, and fruit and vegetable intakes are associated with greater bone mineral density in elderly men and women. Am J Clin Nutr. 1999; 69(4): p. 727-36. 3. Hardwick L, Jones M, Brautbar N, Lee D. Magnesium absorption: mechanisms and the influence of vitamin D, calcium and phosphate. 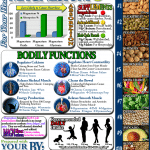 Journal of Nutrition. 1991; 121(1): p. 13.23. 4. Parkkari J, Kannus P, Niemi S, Pasanen M, JArvinen M, Luhje P, et al. Secular trends in osteoporotic pelvic fractures in Finland: number and incidence of fractures in 1970–1991 and prediction for the future. Calcified Tissue International. 1996; 59(2): p. 79-83. 5. Iseri L, French J. Magnesium: nature’s physiologic calcium blocker. Am Heart J. 1994; 108(1): p. 188-89. 6. Abraham G. Management of fibromyalgia: rational for use of magnesium and malic acid. J Nutr Med. 1992; 3: p. 49-59. 7. Purvis J, Movahed A. Magnesium disorders and cardiovascular disease. Clin Cardiol. 1992; 15: p. 556-68. 8. Altura B, Altura B. The role of magnesium in etiology of strokes and cerebrovasospasm. Magnesium. 1982; 1: p. 277-91. 9. Mahan K, Escott-Stump S. Minerals – Magnesium. In Food, Nutrition, and Diet Therapy. Philadelphia: Saunders; 2004. p. 130-33. 10. Shils M. Magnesium. In Shils M, Olson J, Shike M. Modern Nutrition in Health and Disease. Philadelphia: Lea and Febiger; 1994. p. 164-84.